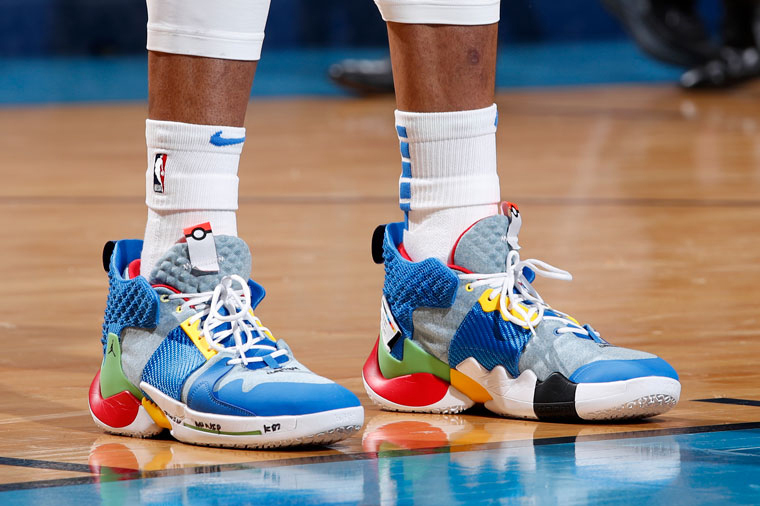 Pokémon sneakers laced on ready to go, Russell Westbrook caught them all like the iconic Japanese anime from the 80’s said you got to as Hollywood came calling to OKC town. 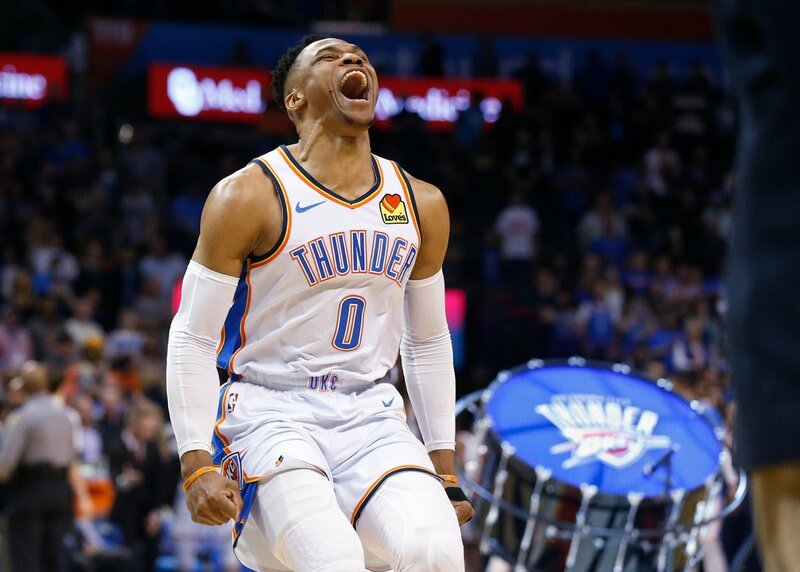 And as the Thunder reigned over the purple as the Oklahoma City Thunder beat the Los Angeles Lakers 119-103, it was the zero hero Westbrook who like his Jordan’s had the drip and not King James, who injured courtside received a gifted diamond necklace off his fellow fashion runaway, suited on the bench inactive teammate, Kyle Kuzma. Grabbing a rebound from Lake Show rook Isaac Bogna’s botched shot, with around 20 seconds of clock left to chill kill and the game already in the freezer, let alone Chick Hearn’s jello jiggling refrigerator. Russell took the ball and and saunter strolled and dribbled it to half court whilst looking at his dad courtside at a place his friend once would reside. Shazam pounding the Thunder bolt name on the heart of his chest just below the Love’s logo in a pride storm of dedication. This being the walking triple-double, above average winner and best since Oscar Robertson’s final line. Some of the best ballers are lucky to have 20/20 vision in this game. But how about 20/20/20? No NBA great before or after Lakers legend Wilt Chamberlain has reached for such a feat in a half century until now. 51 years to be exact. And with 20 points, 20 rebounds and 21 assists to be exact too in one of the best performances of his career since the triple 18, Westbrook became the second only player in storied NBA history to do this since the Laker…and he did it against the Lakers. Wilting Chamberlain records like former Oklahoma City teammate James Harden is doing in Houston, no problem, Westbrook showed out with a team of former Laker love interests like Paul George and superman Sixth Man candidate Dennis Schröeder balling out of control. Just like kiwi Steven Adams putting the trident dunks down like ‘Aquaman’ superhero doppelgänger Jason Mamoa (his underworld ‘Us’ tether under the sea). 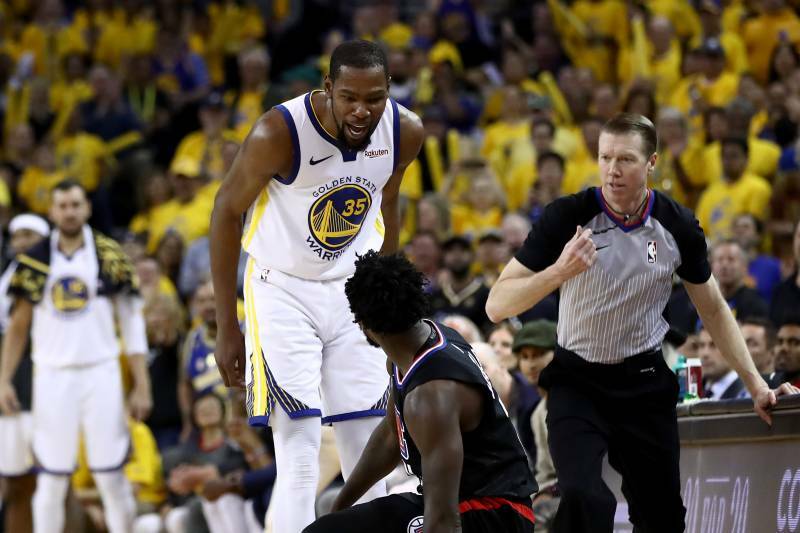 And he dedicated his powerhouse performance and storied statistical showdown to Nipsey Hussle. The inscribed on his shoes in testimonial tribute, inspired West Coast rapper of underground to mainstream Kendrick popularity and legend, activist and all round ray of hope in a troubled time and world who was tragically slain in a shooting this week. You only have to check your social media timelines in tribute to this very refreshing second to see just how much an influence this hoop head Nip had on this game as well as his own one and the real life beyond all this. From the likes of King James and Harden, to Magic and the answer to all the replies in photo tribute and cries for justice for a man who was trying to do the right thing, wronged again by the plague of gun violence that threatens to take the whole life of these United States and the spirit of the watching world. Sometimes the only escape we have is in forms of cathartic entertainment like this man’s music and as Russ gave his level best in this contest, the best he could do was truly beautiful. And with a triple 20 for the man who always kept it 100, even a purple and gold Laker lifer like Nipsey would be proud of this hustle smiling down from the heavens at this hooping from a fond friend and fellow inspiration. Even if it was against the pride of his home team. After the chorus that has rang out in his praise and Hussle’s shared message and desire for change in the wake of this tragedy, it’s time to silence gun violence.